Do you love adding Instagram like effects to your photos? Since Instagram is only available as iOS app for Apple devices, Window users might be looking for ways for similar implementation. 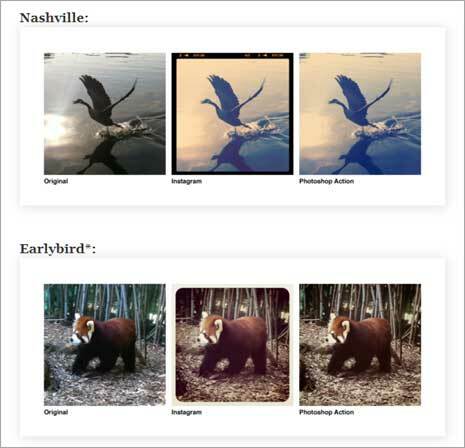 Now you can render Instagram like filter effects to images using Adobe Photoshop software installed on your Windows or Mac systems. Once you have setup required action filters, you can add different Instagram like effects with a single click in Adobe Photoshop software program. Daniel has created Photoshop Actions file that add effects and produce results similar to that achieved using Instagram filters. 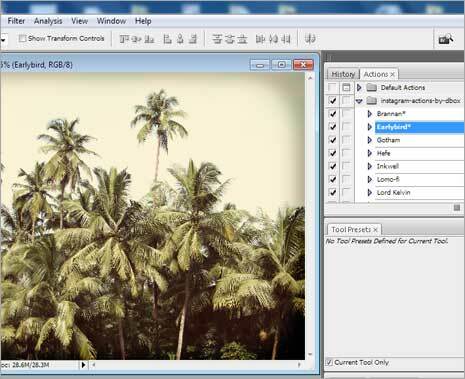 You can download this free Instagram filters like Photoshop Action file to get started. 1. Download Photoshop Action file from the bottom of this webpage on your computer. Once downloaded, double click to extract contents of the zip file and then copy “instagram-actions-by-dbox” file from the folder. 2. Now open Photoshop Actions folders (by default it should be located at [ C – Program Files – Adobe – Adobe Photoshop CS3 – Presets – Actions ] on your Windows PC. Paste the previously copied actions file in this folder. 3. Now launch Adobe Photoshop on your computer and open any image. Click on the Expand dock button at top right part (resembling double arrows pointing to left direction). 4. Once dock expands, click to highlight Actions tab and then click on bottom arrow at top right side. 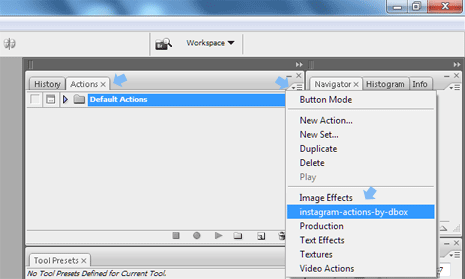 Then click to select “instagram actions by dbox” option. 5. Now you should see “Instagram actions by dbox” option under Actions. Click right arrow button to exapnd actions listing. Then click to select any effect (for example EarlyBird) and click Play button at the bottom to render that effect to image.